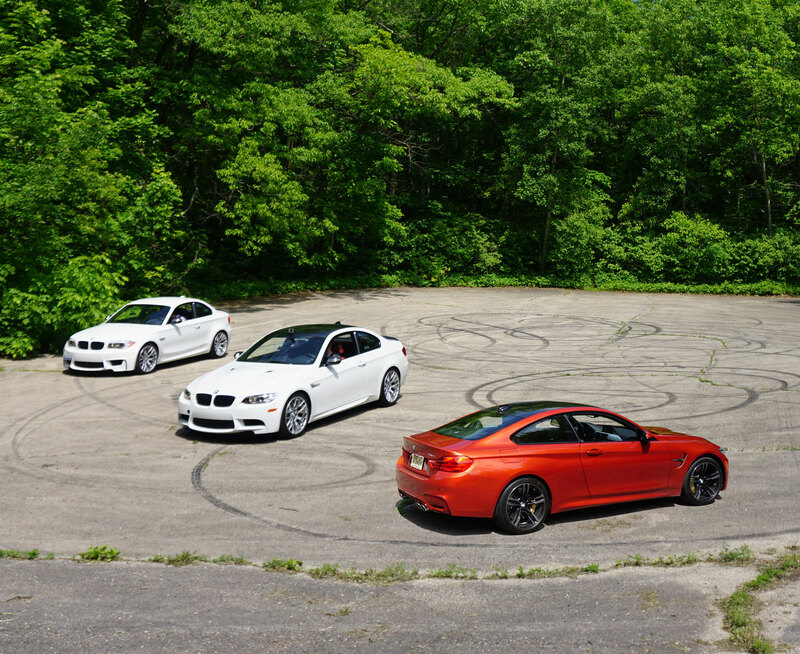 When BMW introduces a new M car it’s worth celebrating the moment. For us that means bringing together the old and the new to gain an understanding of where the new M4 falls within the annals of M history. Luckily it all came together one early June day in central Wisconsin. With Road America at our disposal and some of the finest roads in the midwest around us, we found ourselves with low mileage examples of the BMW 1M, E92 M3 (with Competition package) and two M4s – one manual and one DCT. The F82 M4 (and the F80 M3 which we’ll be reviewing soon) represents the final piece of M’s long planned transition into a new era. Gone are the celebrated high revving naturally aspirated engines we’ve known for years. In the engine bays of all M cars for 2014 are more powerful, faster and dramatically more efficient turbocharged engines that are both brutal and brilliant. But can something that’s more modern (and dare we say it – digital) satisfy the intangibles that have defined the M driving experience? 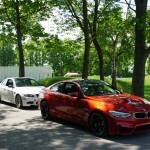 In looking at the new M4 on paper it was immediately clear that only two other M cars need to be invited to this test. The E92 is of course the obvious choice. The previous M3, it was also the last of M’s naturally aspirated bespoke engines and will surely be remembered kindly in the future as we go deeper and deeper into the era of turbo-chargers and electric steering systems. Next up is the little “sonofabitch” that launched into the automotive world a few years ago and stole much of the M3’s thunder at the time. The 1M has been heralded by everyone from us to Jeremy Clarkson as one of the best BMWs of all time. But forget the accolades, it represents a key point in M’s recent history where the old analog M intersected with the new digital M. More specifically the 1M has all of the mechanical feel (starting with that exceptional E92 M3 based steering rack) while being endowed with a dose of the future – a twin turbocharged torque ridden 3.0L that more than gave the E92 M3 a run for its money when released three years ago. 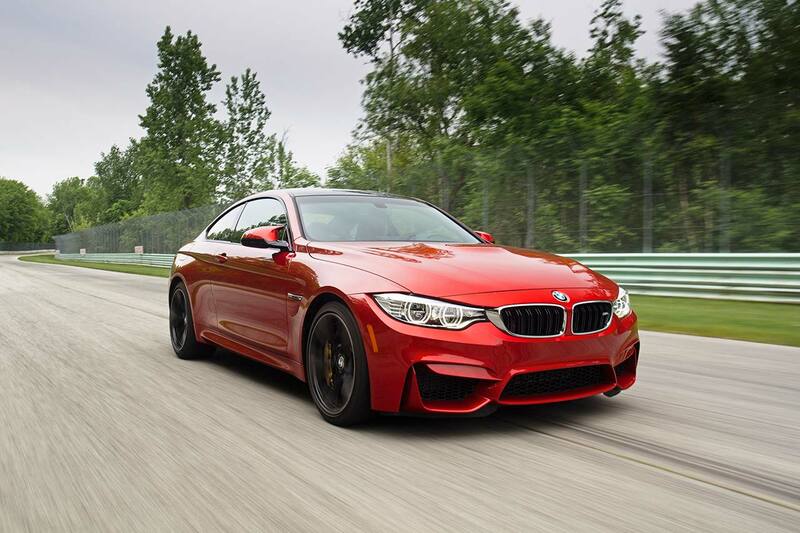 With the F82 M4, BMWM hasn’t just introduced a new M car, it’s seemingly perfected the equation of the modern turbocharged M car. The numbers alone humble both of our competitors – 425 HP And 404 ft lbs provides urgency that feels much more powerful than the officially (and likely conservative) 0-60 time of 4.1 shows. Put plainly I’ve never driven a faster BMW. Testing notes: the one independent testing variable we’re including is Sport Auto’s test of each car at Hockenheim – a track that’s much more relevant to every day performance and track driving than the epic Nurbirgring. Price: Values range from $40k to $65k depending in spec and year. 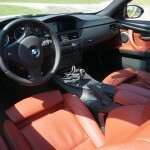 When it was launched the E92 was criticized for its lack of driver involvement. Funny what seven years will do. Today the car is heralded by most as one of the more precise track weapons with four seats ever made. Furthermore the steering is held up as a litmus test for almost all M cars that have come since. The dirty truth is that the M3’s steering purity probably peaked with the E36 (and arguably the E46 CSL and Competition Package) and has been on the downturn since. But all is quickly forgotten the second you blip the throttle. Eight individual throttle butterflies open the gates to what is one of the most sonorous sounds ever to come out of a production engine. It’s not just the sound or the fact that this is a V8. No this is a V8 that revs to 8,300 rpms and does it so quickly that not lighting up the tires from a dead stop requires quick shifting or heavy throttle moderation. Then there’s the chassis. Miles ahead of anything that came before it, the E92’s rigidity allowed it precision and poise that masked the 3,800 lbs hiding beneath its skin. On the track it’s pure joy with the high revving V8 screaming and the exceptional DCT clicking off shifts with both authority and finesse. 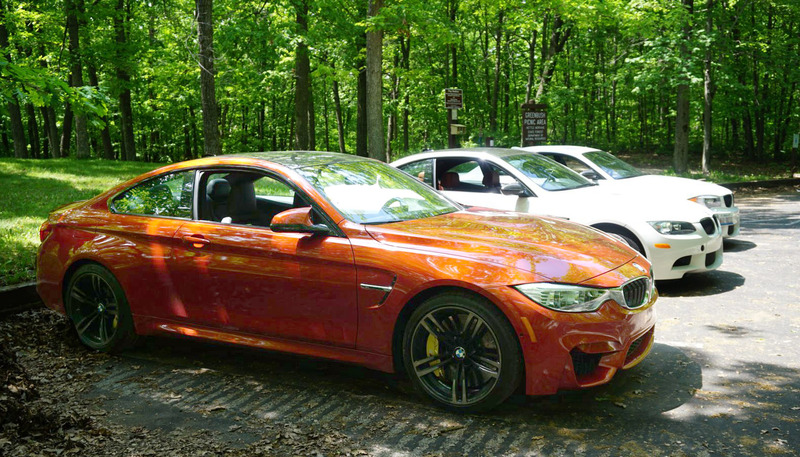 On the road it splits the difference between the more agile 1M and the larger, more serious and capable M4. Put another way, the E92 is one of those rare cars that entertains at 15 MPH with its direct feel and response while being completely buttoned down yet thrilling on a track at 155. 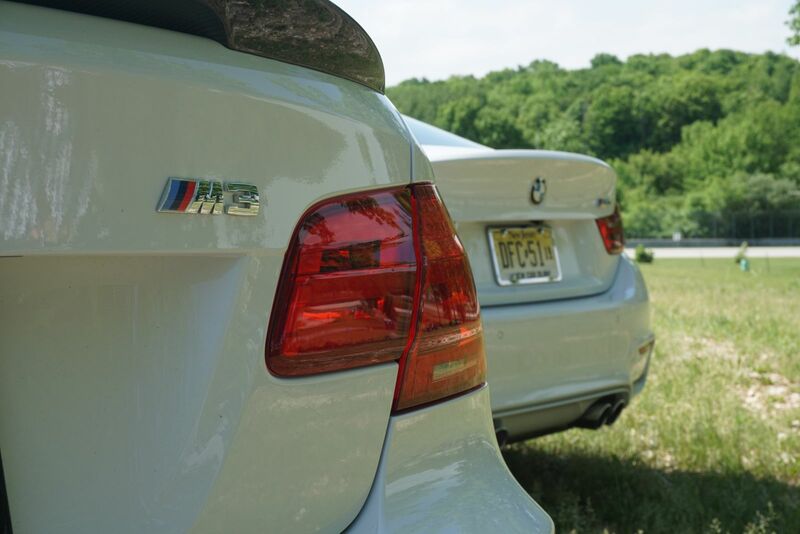 But today it has to not just win against the M4 but hold its own against its unruly little brother. 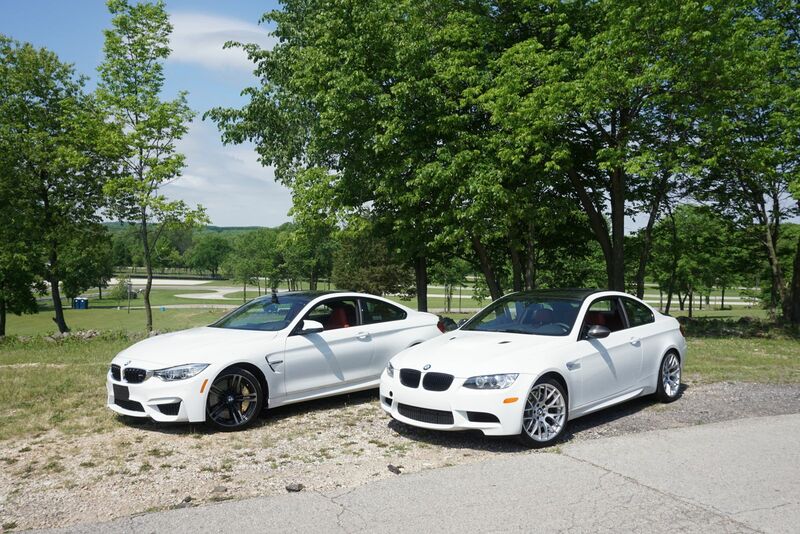 Driven back to back with the new M4 you’re immediately struck by the steering. Comparatively so direct and so pure it makes you realize that, as good as the new M4 is, it can’t quite match the E92 for immediacy. It’s especially noticed at low speeds where you can feel every aspect of the surface and how your car is reacting to it. Interesting I felt less of a difference under load. When I quizzed BMWM Head of Engineering Albert Biermann about this, he agreed and went onto to say that their internal testing showed less difference in feedback when at the limit. Yes the new M4 EPS unit is good. 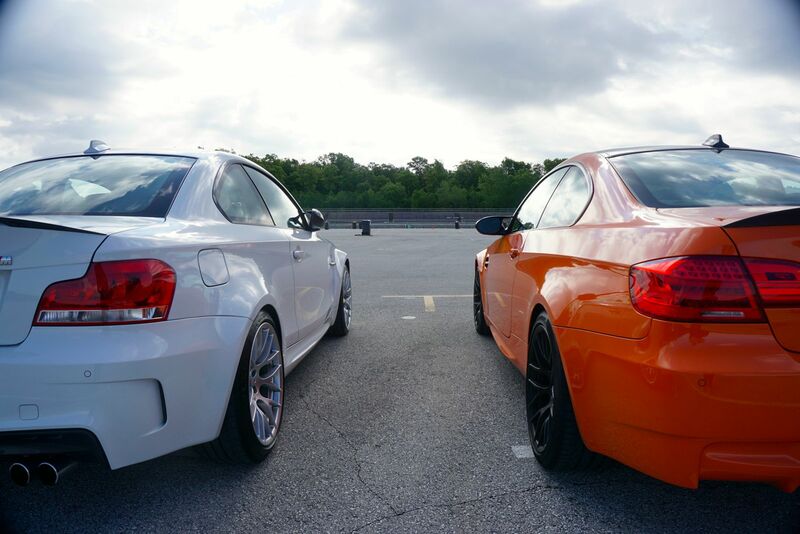 But the fact remains that the previous M3 wins this battle hands-down. One area where the E92 can’t win is weight. With 180 lbs less to carry in and out of corners the new M4 feels decidedly more eager to change direction. Aiding this is also the new more rigid structure and predicative rear differential that felt like it shaved off time compared to the E92 in every corner. But the ace in the hole for E92 M3 is the S65 V8. This is an engine dripping with drama from the moment you push start. Its 8,300 redline tells you most of what you need to know. It rewards the driver for digging deep into the rev range. 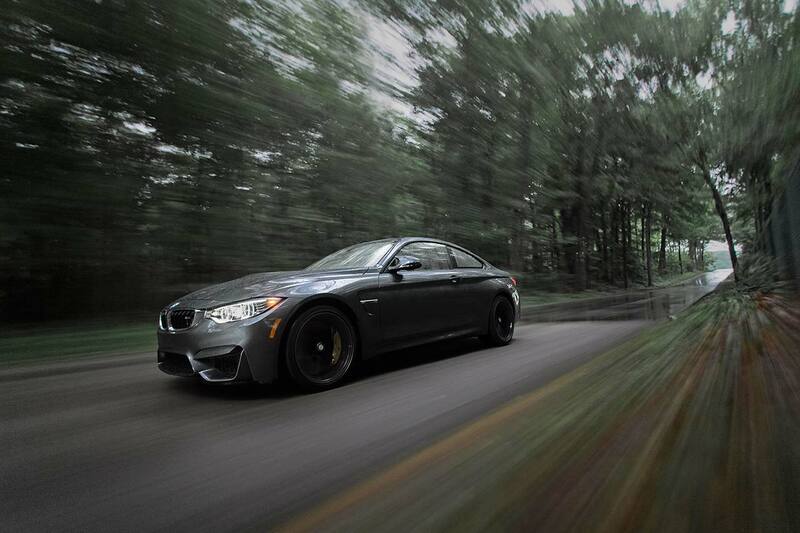 The refined roar that builds makes the M4’s brilliant inline six S55 feel antiseptic. And then you realize that BMW (nor any other manufacturer) will ever build an engine like it again. The S65 represents a moment in time that has come and gone and yet will never be forgotten. Downsides? A lack of torque down low means that you have to play in the upper reach of the rev range to get the most out of the car. That hurts everyday drivability and even increases the level of concentration required on the track in corner exits. Then there’s the MPG. 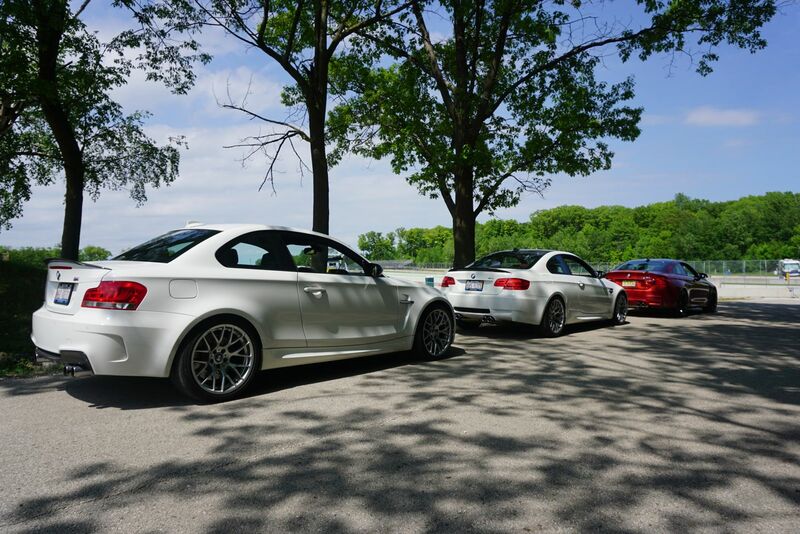 The E92 was 12-14 mpg all day while the F82 M4 and 1M were around 20. But all is forgotten the moment you rev the S65 to redline. This is an old school engine that rewards a driver with sound and fury unlike anything else on the market. Reflecting on the E92 M3 after you drive the new M4 you can’t help but notice how old the former feels. Starting with the E46 to the E92 the last two generations of M3s have felt at least ten years apart, not seven. The M4 carries on this tradition by introducing an almost Playstation-esque efficiency in input and reaction. That’s not a knock. This is a car that is both efficient and efficiently fast. So fast (thanks mostly to that torque) that it quickly disposed of the E92 time and time again through the back roads of Wisconsin throughout the day. Is fast all that matters? The owner of our E92 test car clearly would argue no. But I’m not so sure. What M and this new M4 have done is created new visceral qualities that revolve more around reaction and speed as much as feedback and sound. Which is better? It’s not for us to tell you. But I can assure you that the experience of the M4 at full speed and at the track is compelling. 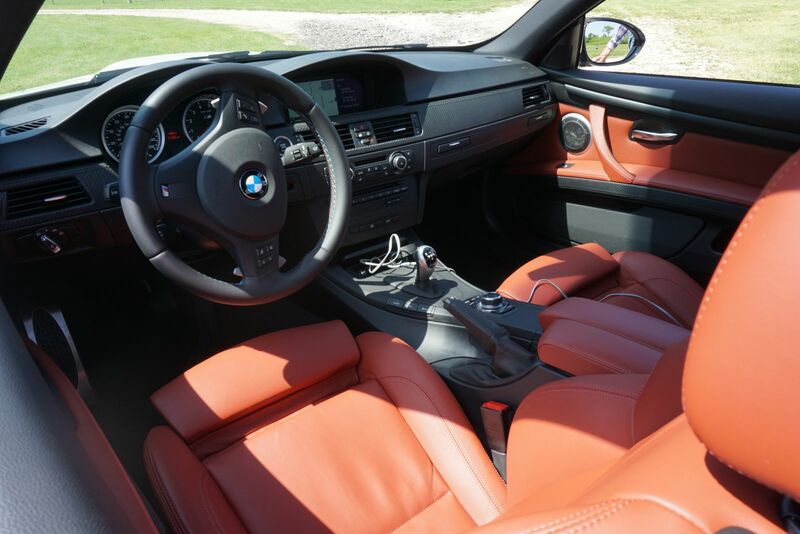 Price: Values have increased since launch and are hovering from $62k to $66k depending on spec and miles. 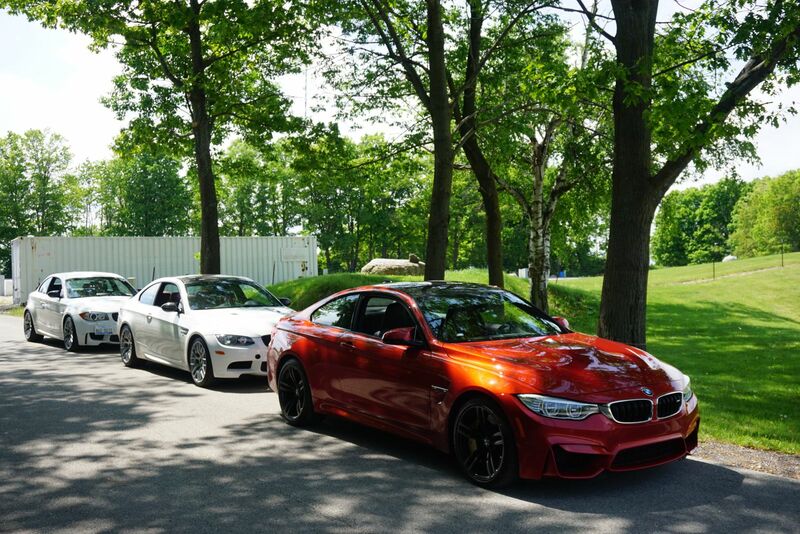 My hypothesis coming into this test was that it was the 1M and not the E92 M3 that could be considered the true predecessor to the M4. With a twin turbocharged inline six producing a similar torque and power curve the 1M should feel like the M4’s baby brother much more than the E92 M3. But funny thing about the 1M, it has always punched above its weight in the past. And in this comparison it does it again. On the track there is a clear winner and the 1M (as fast as it is) is never as planted and confident as either of the bigger M cars. But on the street and especially on the twisties around Road America, it’s clearly in its element. Getting out of the M4 (after spending time in the E92 M3) I had a tinge of trepidation that the 1M would feel out of its league here. On the contrary it only took about 40 feet of tarmac to feel something at once similar to both yet startlingly different. The 1M simply devoured the corners with enthusiasm that neither of the larger cars could manage. Being faster or slower seemed like a pedantic, academic question. It felt alive in ways that neither the M3 or M4 ever did. The steering (technically no quicker than either of the other two cars) felt more immediate and nuanced while the rest of the car was quicker to react to inputs. As I was pointing and shooting the 1M through the forest I was reminded of Albert Biermanns’ words the night before when we chatted about the 1M development process. The original internal test mule was ugly he said. It was almost square thanks to the use of the M3 underpinnings. He simply ordered the designers to wrap the wheels and tires and be done with it. He made it clear with his team that function would define the form on the 1M and marketing wouldn’t get involved in increasing scope of the project. Hurdling the 1M through the Wisconsin hills the results were evident. This is a car that is as focused as a modern BMW has been in years. And yet it achieves all of this with an engine that, while a few steps above the N55 in the M235i, can’t quite compare to the new M4’s S55. While rarity plays a factor in the 1M’s continued high value, the underlining performance can’t be overlooked. 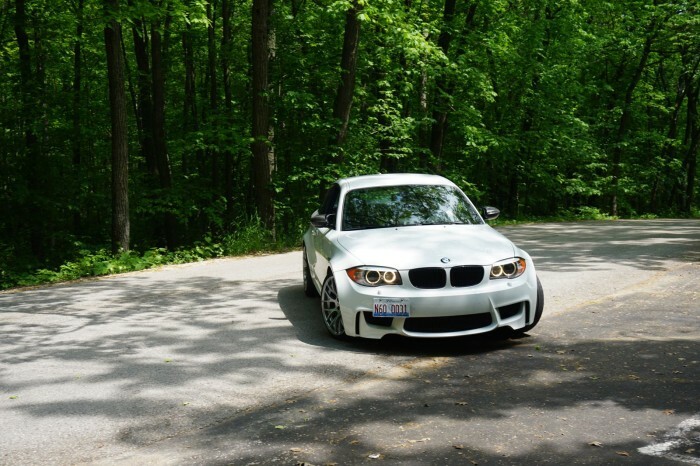 Getting out of the 1M, the owner of our E92 on hand was simply blown away at how fast it felt. 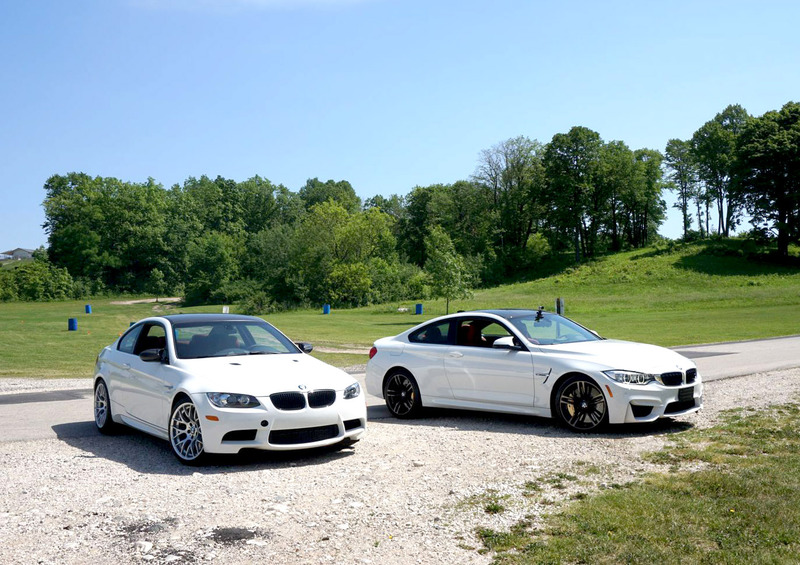 Its ability to accelerate violently from anywhere in the rev range is in stark contrast to the E92 and has always set these cars on opposite ends of the M spectrum despite their shared underpinnings. The similarities with the M4 are there however. 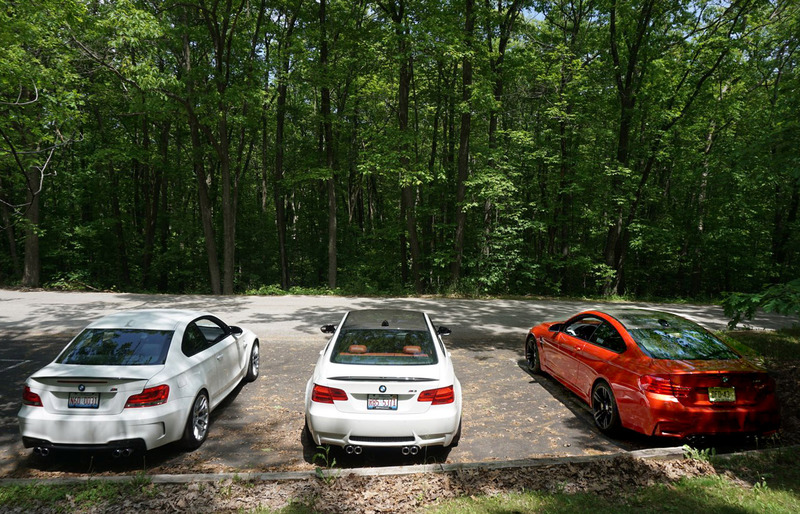 For the first time in three years the 1M finally makes sense in the range of M cars. 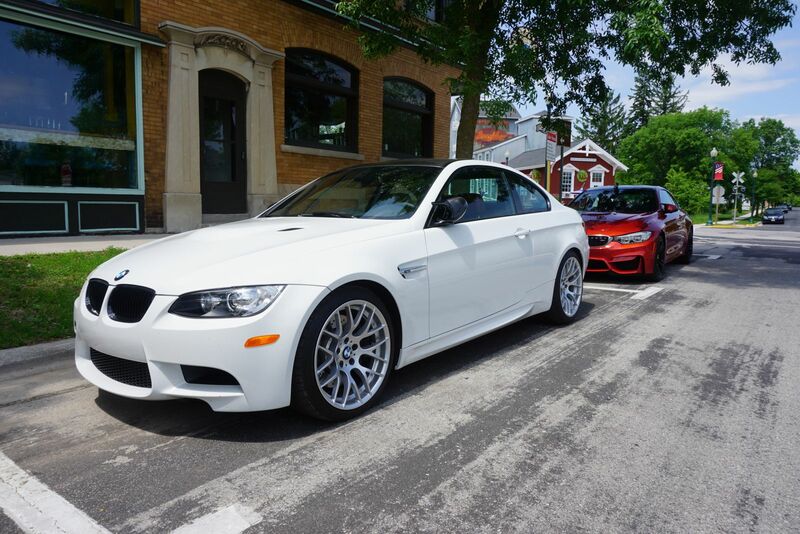 It feels much more like the baby F82 M4 than it ever did the baby E92 M3. However, the equation that made the 1M steal the hearts of automotive reviewers in 2011 is still there in 2014 – even up against the M4. Where the M4 is brutally effective and entirely composed, the 1M is violently effective and unapologetically hard to compose at times. 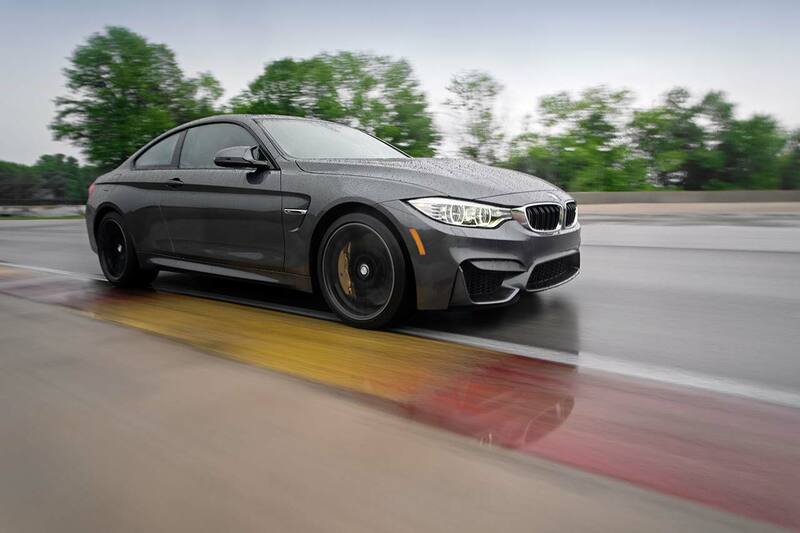 While the philosophy that created both cars is similar, when applied to two different types of vehicles, M has been able to create two distinct personalities that will likely define two lines of great M cars for years to come. Price: Values are currently tied to sticker pricing which starts at $64,200. The M4 is the first small M car with bespoke forced induction and famously the first with electric power steering system (EPS). 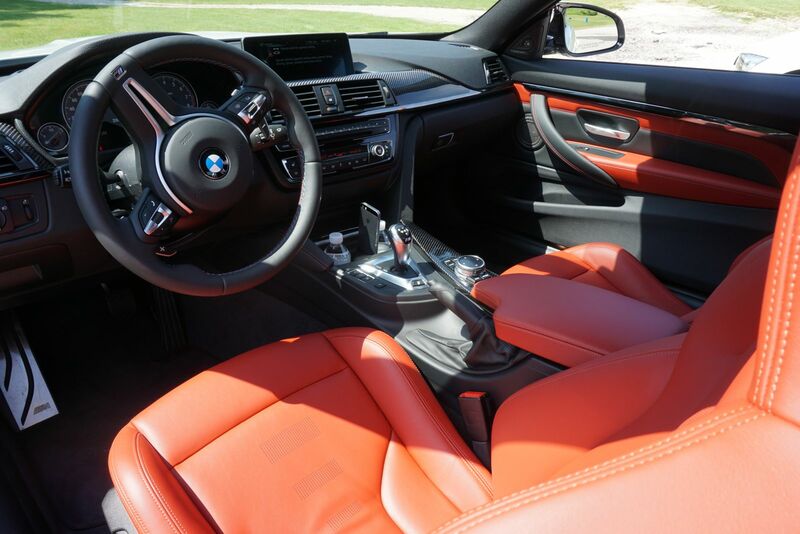 The result of those two additions creates an experience decidedly different than any M3 that came before it. Forget the E46 comparisons due to weight or number of cylinders. 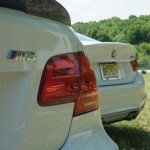 The M4 represents something entirely new for the M3 and will likely serve as the template for generations to come. 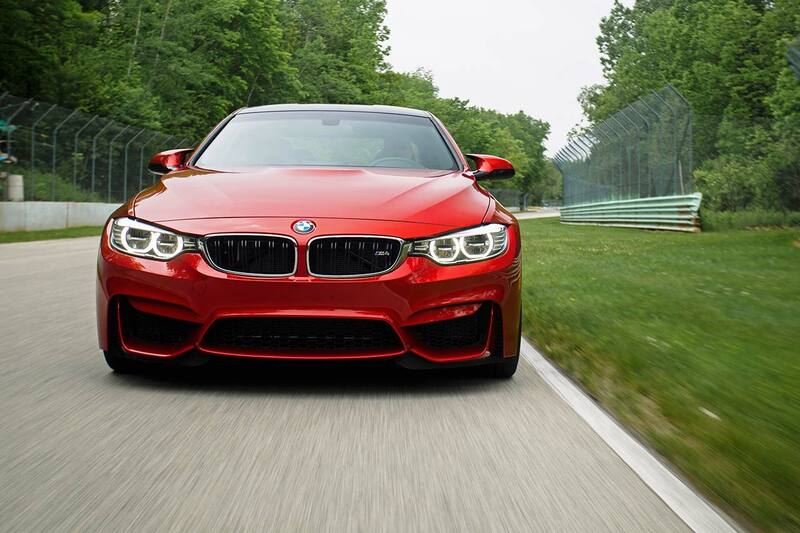 The F82 is powered by the S55 – an engine loosely based on the N55 that is found throughout BMW’s line-up. BMW looked at a number of power plants but quickly realized they’d save money in engine development by using the N55 and move that investment into weight savings. And after driving the M4 on the track and on the back roads it’s the weight savings and chassis refinement that left the strongest lingering impressions. 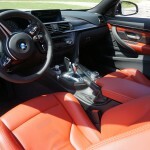 Stepping out of the E92 M3 and into the F82 M4 you’re struck by the change in seats first. The new single piece backrest and lack of thigh-bolstering saves 6kg in total but represents a very different approach to seat design any M car before. But… they feel great. As does the steering wheel and other inputs. 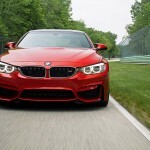 The DCT found new M4 is an evolution of the one found in the M5 and M6 that in turn is an evolution of what the E92 M3 had. As you’d expect, shift times are quick and the logic is driver oriented. What we didn’t expect was to fall in love with the manual as much as we did. The 6-speed manual is an evolution (see a trend here?) 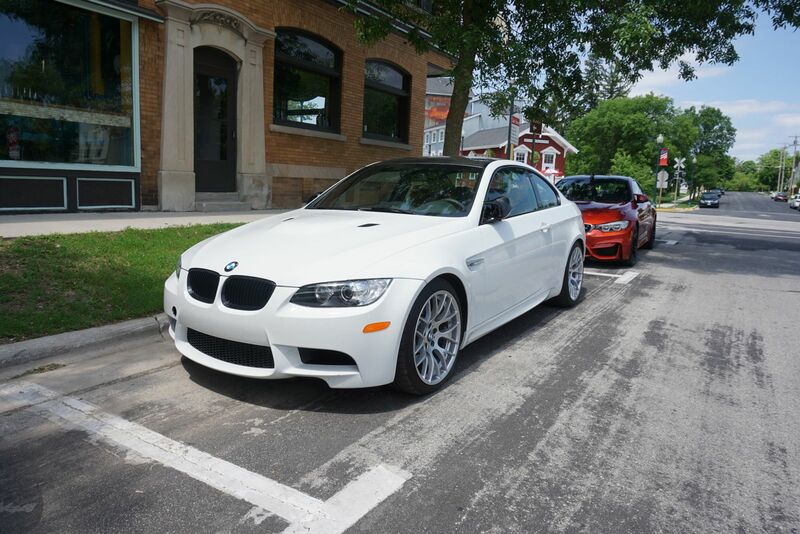 of the one found in the 1M and is dramatically improved over what the E92 had. Gone is the notchiness replaced by a slick shifting action and plenty of feel. Couple with rev matching on downshifts and a DCT-like digital display telling you what gear you’re in it becomes an interesting mix of new and old schools. While the clutch is lighter than in past M cars (all new clutches are too light it would seem) there’s still feel at the engagement point and an overall satisfaction with the action, though not overly pleasing. One area where the new M4 is more conservative with is ‘M Dynamic Drive Mode’. 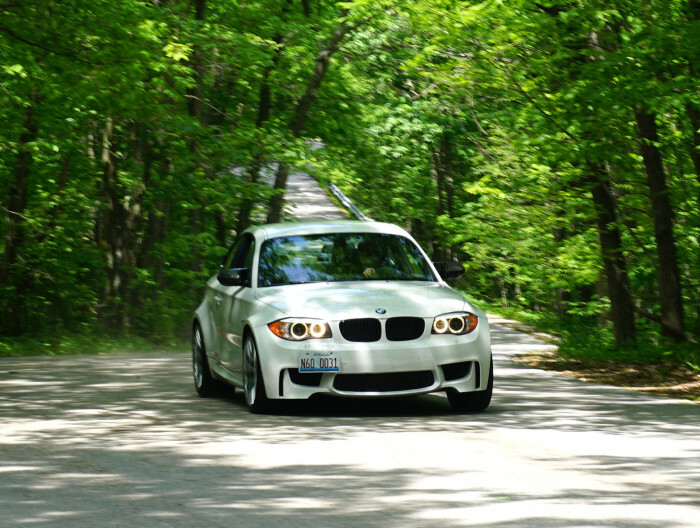 The MDM settings on the E92 (with Competition Package) allowed for greater slip angles and ultimately more driver control. The 1M’s programming was even more dramatic which allowed controlled drifting out of corners in cases where the typical DSC of either car would have intervened. In talking to Albert Biermann about the change he said that M believed that those who want to experience the full rear wheel drive feel (i.e. drift) will be turning off all driver aids anyway. I’m not entirely sure I agree. With two M3/M4s totaled during the press launch it’s fair to say that this car is a handful with no electronics on. Allowing for greater slip angles in MDM mode might satisfy most while still keeping some element of a safety net on. The sounds that the S55 omits are either complex and interesting or simple and dull depending on what side of the glass you’re on. Inside the car, (undoubtedly helped by active sound) the M4 sounds like a snarling complex turbocharged machine with enormous technology behind its speed. On the outside it’s rather mundane without any ownable soundtrack a la the E46 or E92 M3s. But how does it feel? That’s been the question we’ve been waiting to answer since we heard that the new M3 and M4 would be getting a version of BMW’s new EPS system found on the 3 Series. First off this is not that system. 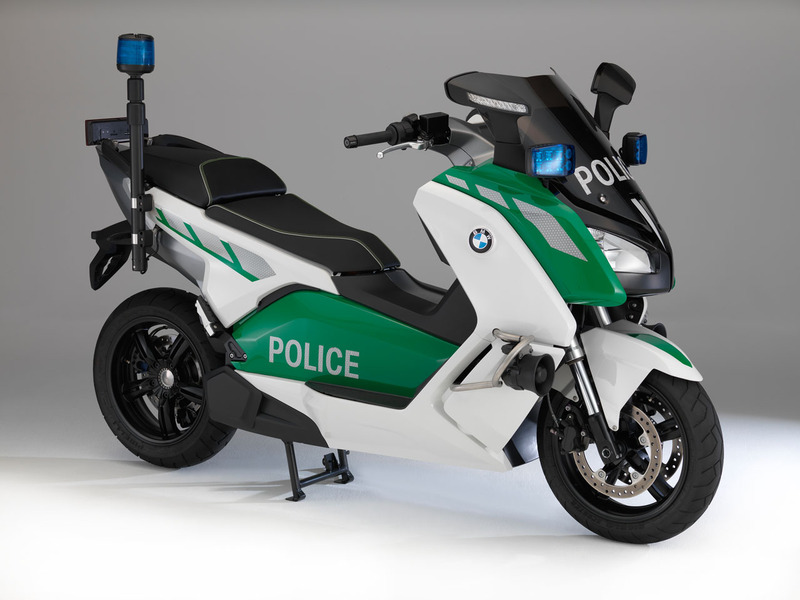 BMW M has created something entirely new that offers a completely different experience than what you will find on a 435i for example. And it’s not just the new EPS system but the M4’s increased rigidity, suspension design and lighter weight components that are at work. The results are surprisingly good and, in our mind eclipse the results of the latest Porsche 911 (no we haven’t driven the new GT3). 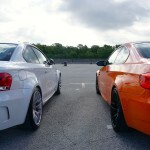 However, (you knew it was coming) there isn’t the same nuanced feedback that you get in the E92 or the 1M. While the effort is valiant (and apparently extremely costly according to sources) the new EPS system takes a small but noticeable step back in overall driver engagement. Will most notice it? No. Will you? Probably. The power of the S55 is linear on the street but put under pressure on Road America, the turbos made their presence known. In particular between turn two and three the M4 would suddenly come into a wealth new found power that made the carbon ceramics all the more necessary. It wasn’t abrupt but it was unmistakable lap after lap. And those optional $8k carbon ceramics? 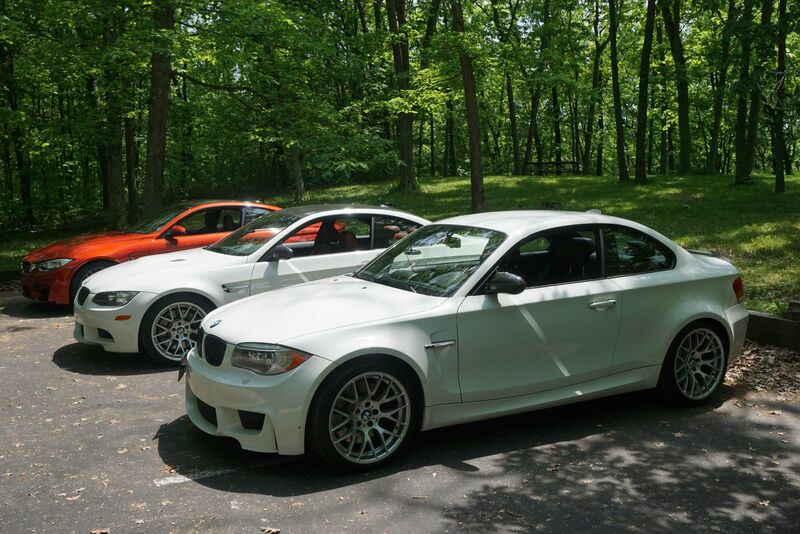 They are head and shoulders above the already excellent brakes of the M3 and 1M. The caveat is that while they stopped the car in a spectacular and predictable manner for most of the day, we found clear evidence of the pads starting to give way by hour four. 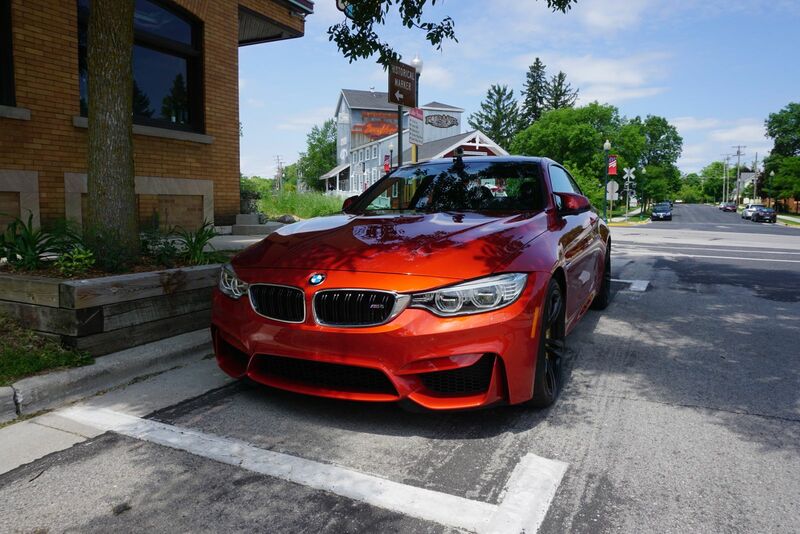 Perhaps that’s not unexpected given the speed of Road America but it was the first time I’ve ever seen BMW carbon ceramics look mortal. One thing that can’t be overlooked is the addition of M’s predictive differential to the new M4. It allows for control and stability that’s a step ahead of the E92 M3 and 1M’s already exceptional old-school diff. 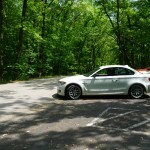 But the big benefit we found was increased traction out of Road America’s toughest corners. 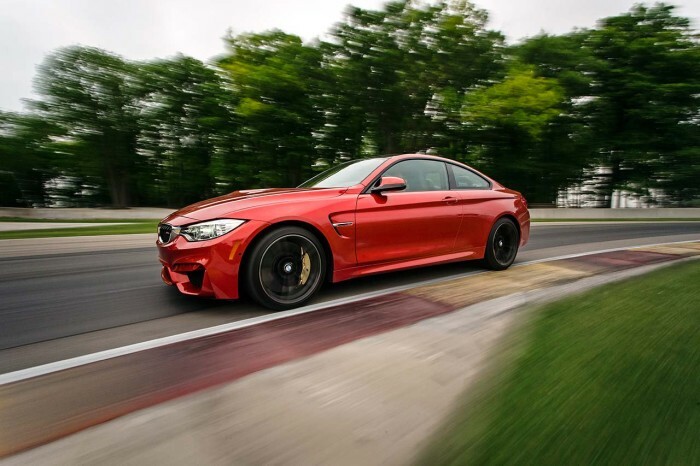 Coupled with the extra rigidity, huge torque increases and ceramic brakes, the M4 felt in another league of speed at times over the other cars. Where the E92 feels almost exotic due to the high-revving S65, and the 1M feels like a blend of throw-back and high-tech, the M4 feels otherworldly. Weight saving measures are pervasive and technology seems to touch everything. 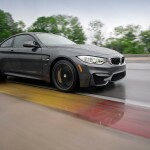 But through it all BMW M has created a truly exceptional car that keeps the tradition of driver engagement and excitement alive in ways that neither AMG or Audi Sport (Quattro GmbH) have been able to accomplish recently if ever. 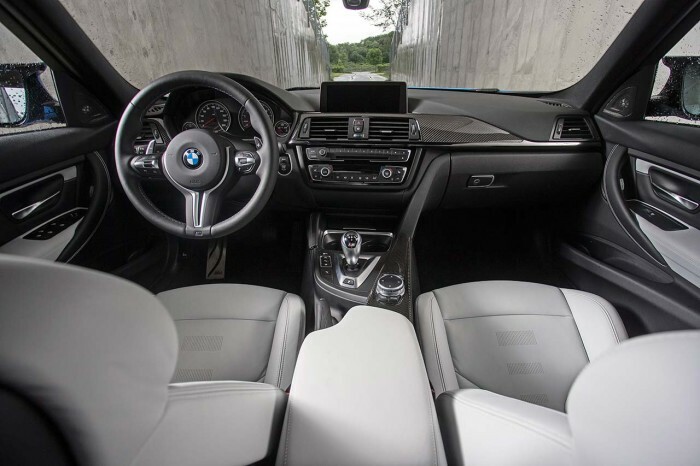 There is no question that expectations of efficiency have been a major challenge to overcome in the new M4. M has had to introduce new technologies that have traditionally dulled driver engagement into a car that is all about the driver. 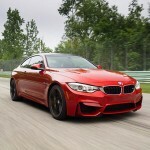 But the entire industry is changing and with it the M4’s historical competitors. Because of this, the metrics that the M4 is judged against have been altered by this new reality. And crucially it’s a reality that the E92 M3 and the 1M never had to solve. That alone makes both of those older M cars stand out as machines with less or different complexities and ultimately a bit more purity. Does that make them better or in some way superior to the M4? 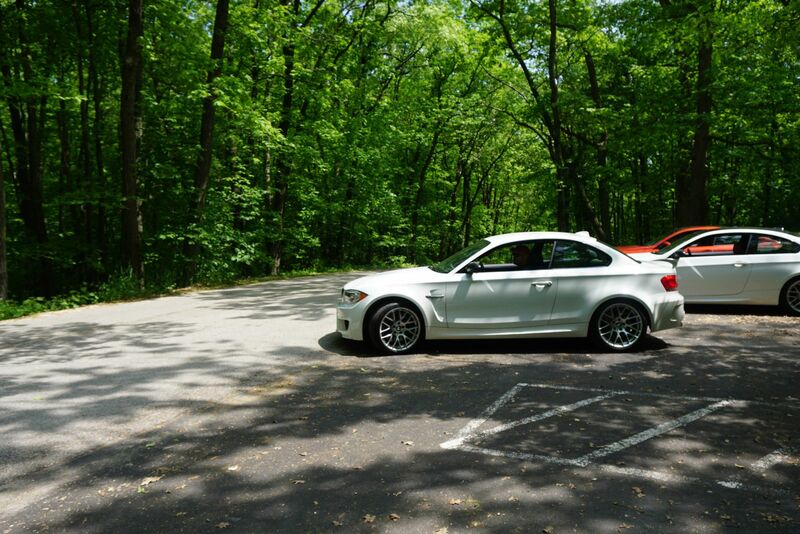 It depends on how you measure the success of an M car. This new M4 is both more effective at speed (in every measurable sense), comfort, efficiency and technology (something we’ll touch more on in a later review). In fact there is no measurable way that the M4 is beaten in this comparison (unless price to performance is part of your equation). The truth is that almost every time a new M car is introduced we bemoan the loss something something truly special. With the E36 as perhaps the only exception, this has been the case with every introduction over the past 30 years. And as you can tell, it’s true here. The M4 impresses at every level. 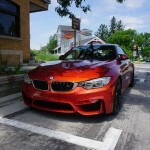 Yet driving it illuminates the best qualities of the E92 M3 and the 1M. And driving them all back to back, you feel what you miss in the M4 just as much as you notice what you gain. I am on the fence about the 1M as far as getting one now or waiting to see if it will go down in price. I’d hate for a Z8 type of scenario to occur, but there in lies the gamble. I eagerly anticipate the arrival of the M4 at dealerships. 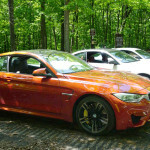 Your words about the latest ///M seem to echo what other reviewers have noted…which makes me conclude only time will reveal the wonders of the M4. All in all, you said it best: we bemoan the loss of something special with every new ///M, however the more time we spend with each the more we realize they are ALL special. The new F8X chassis, weight power etc. was the fruits of a lot of love and labor from M. I know they set the original bar quite high with trying to replicate the M3 CRT as many of the “experiments” in that car were carried over to the M4/M3. I remember back in 2008 when I was asked what I would have changed with my then new E90 M3 by a high ranking BMW official and said- less weight, more brakes and suspension. The engine was delivered by the gods and it will never be replicated- I have yet to experience the new car but after my time in the CRT I am pretty sure I know what you mean by brutal and fast- the exhaust note will be all that is lacking. 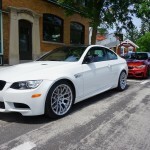 You list the E92 as too heavy (the cars are really 3600lbs with plenty of options). Real world testing shows the new cars are nowhere near 180lbs lighter, with the new options the weights are almost identical (within 25lbs). the 1M is just an amazing BMW. One of my holy grail cars for sure. I respect the M4 and the E92 M3 plenty, but the 1M hits different buttons as it has an element of chaos about it. I am anxiously awaiting prices to go under $50k so i can grab one. My fear is that they will never go below $50k.